In 30 years, I have only had one case declared a mistrial, and it may have been one of the most painful things I have ever experienced as a trial lawyer. It was certainly painful for my clients. In that case, a medical malpractice trial against one of the largest hospitals in Atlanta, the jury deliberated for 3 days. I had no idea which side the jury was favoring, but I objected to the court’s declaring a mistrial. After two weeks of trial and thousands and thousands of dollars lost in expenses bringing the case, ceding to a mistrial is almost the last thing you want to do as a plaintiff’s attorney (although it arguably still beats losing). The trial judge in that case, a very experienced jurist with years and years on the bench, who both sides respected immensely, finally declared a mistrial. And honestly, that trial judge was certainly within his authority to call it at that time. I just hated it. We had to try that case a second time, which is also a horrible experience for everyone involved. My co-counsel in the second trial, Adam Malone, had this apt analogy to retrying a case: “It’s like working out and really sweating so that your clothes are wringing wet with sweat, then taking a shower and having to put your sweaty workout clothes back on.” Yuck. Not fun. The California judge, by all accounts, did everything the law allowed her to try to get a verdict out of this jury. She used a lot of tools to avoid a mistrial: She interviewed jurors, reiterated jury instructions, ordered more oral arguments and replaced Juror No. 7 with an alternate. Each time defense counsel objected. 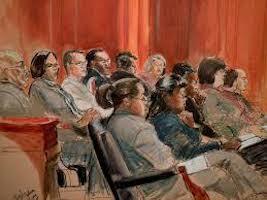 Did they know something no one in the courtroom knew about this jury? In Georgia, a trial judge has wide latitude in whether to declare a mistrial, whether the mistrial is necessitated by juror misconduct or simply the jury’s inability to reach a unanimous verdict. Generally, whether misconduct by a juror is so prejudicial as to require removal and a mistrial is in the discretion of the trial court. Cooke v. State, 230 Ga.App. 326, 327, 496 S.E.2d 337 (1998); Perez v. State, 266 Ga. App. 82, 84, 596 S.E.2d 191, 193 (2004). Keep in mind that there may be varying considerations about the effect of a mistrial depending on whether the case is civil or criminal. In some criminal cases, the circumstances that necessitate a mistrial may result in the Constitutional inability to retry a defendant if double jeopardy has attached. But in a civil case, the trial judge’s decision to declare a mistrial will not be overturned by an appellate court absent manifest abuse of discretion by the trial judge. Generally, whether misconduct by a juror is so prejudicial as to require removal and a mistrial is also in the sound discretion of the trial court. Cooke v. State, 230 Ga.App. 326, 327, 496 S.E.2d 337 (1998); Perez v. State, 266 Ga. App. 82, 84, 596 S.E.2d 191, 193 (2004). There have been 39 appellate opinions in Georgia state and Georgia Federal courts involving the removal of a juror and only 2 of those were civil cases. This means this issue simply doesn’t occur very often and is rarely appealed. In the California case, besides the alleged juror misconduct of failure to deliberate with the group, it was reported (and I am not sure how anyone knew) that two jurors spoke to each other in the jury room in a language that was not English (in this instance, Mandarin). Defense counsel said this alone was reason enough for a mistrial. 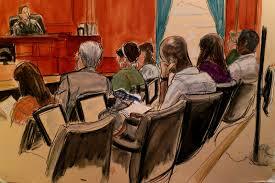 Two jurors shouldn’t be allowed to communicate separately with just each other instead of the entire jury. That seems to be sound policy, as the court’s instructions to the jury always include the admonishment to deliberate only when all 12 are present. So what’s next for these parties? J&J spokeswoman Kim Montagnino said the company would seek a retrial. “We look forward to a new trial to present our defense – which rests on decades of independent, scientific testing confirming that J&J Baby Powder and Shower to Shower do not contain asbestos,” Montagnino said. “Johnson & Johnson stands by our talc products, which have been on the market and used safely for more than 130 years.” There is always the possibility of settlement of this particular claim before a second trial occurs. But two other trials involving J&J’s talc products are currently in progress, one Los Angeles County, and the other in J&J’s home state of New Jersey, which seems not to portend well for a settlement in the California mistrial case. Both sides can learn from the mistried case, although it is an expensive lesson. Conventional wisdom says the person with the burden of proof (here, the plaintiff) stands to do better the second time around because the plaintiff will fix whatever they did wrong the first time, and had already convinced two-thirds of the jury the first time. I’m not sure I agree with that “conventional wisdom.” There will be 12 completely new jurors and 12 completely new opinions. Conventional wisdom may not apply.